Returning countless cloudy storms later, just four barrels remained. Now distilled into short fill bottles, each of these exotic flavours has its own story, and its own complex character that is sure to leave a mark. It is said that no man has vaped all four flavours and lived to tell the tale ... dare you try them all? 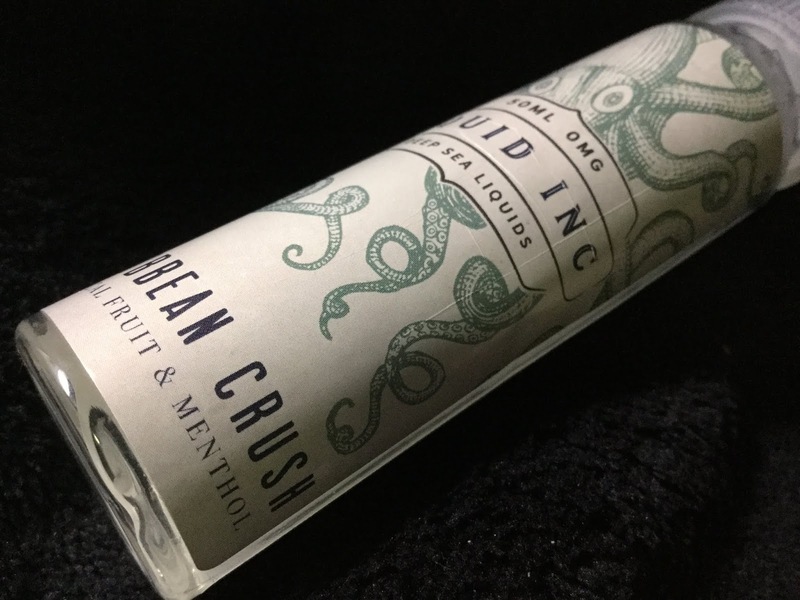 Each of the Squid Inc. ejuices comes in a 50ml Short Fill Nicotine Free - Nic Shot Ready bottle in a 70/30 VG:PG Mix, Pre-Steeped and ready to Vape. Caribbean Crush is described on the e-cigarette direct website as follows. A lively mix of sun soaked tropical fruits with a generous dash of menthol. It is said that no man has vaped all four flavours and lived to tell the tale … dare you try them all? I’m not a massive fan of tropical fruit vapes, so wasn’t expecting to be Vaping this juice much past the review, and that couldn’t be further from the truth. From the first inhale I was taken in by the blends delightful sweet notes, layered over the cooling menthol vibe. Sun soaked pineapple dripping with tropical fruit pleasures. Dancing effortlessly across your tongue, hand in hand with perfectly plump mango. The combination of flavours delivers a solid throat hit, that packed a punch on the flavour scale. The exhale allows for the menthol medley to come to the forefront, allowing the sweet tropical fruit blend to ride out on a cooling wave of menthol. Exiting with an intense sweet spot on the tip of your tongue. This tropical fruit punch, with a cooling edge, made a really nice break from my normal dessert and bakery style vapes. So if your looking for a satisfying fruit vape, then look no further than Caribbean Crush.